The 3228 Station Port FXS Doorphone provides a simple-to-install telephone-integrated entry security intercom solution for business and residential applications. Visitors cause a telephone to ring which enables conversation when answered and the capability to allow remote entry using door release features. 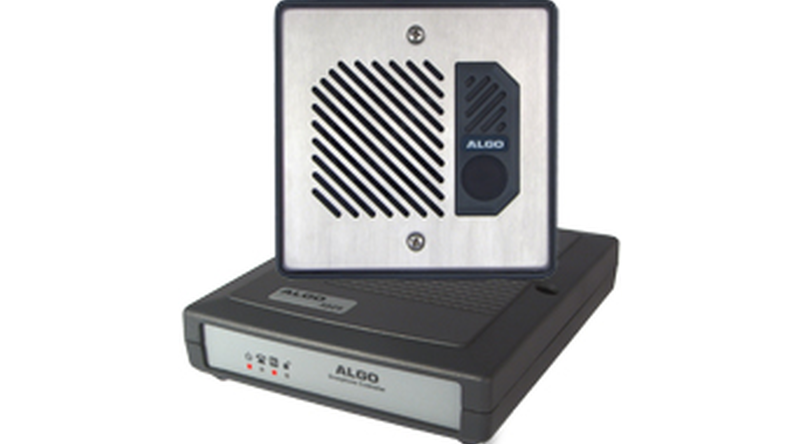 Single-pair wiring to the digital door station enables fast and easy retrofit in residential doorbell replacement or elevator cars, and provides superior voice quality over 4-wire analog systems that use a simple speaker and call button. The illuminated call button is easy to find in the dark and is suitable for outdoor environments. Digital Signal Processor (DSP) speech technology provides echo cancellers and adaptive noise reduction for superior communication in adverse conditions due to weather, traffic, or other background noise. A door control relay can connect to any type of door release or gate activation system and includes a 24 V 0.3 A power source for low power 24 V door strikes (customer provided). Additionally, there are low current programmable inputs and outputs at both control unit and intercom station for door sensing, door unlock switch, door unlock override, auxiliary call buttons, or telephone status such as ringing or in-use. The 3228 Station Port FXS Doorphone is provided in kit form and consists of a Controller, Digital Door Station, Power Supply, mounting gaskets, and basic cabling and connectors.